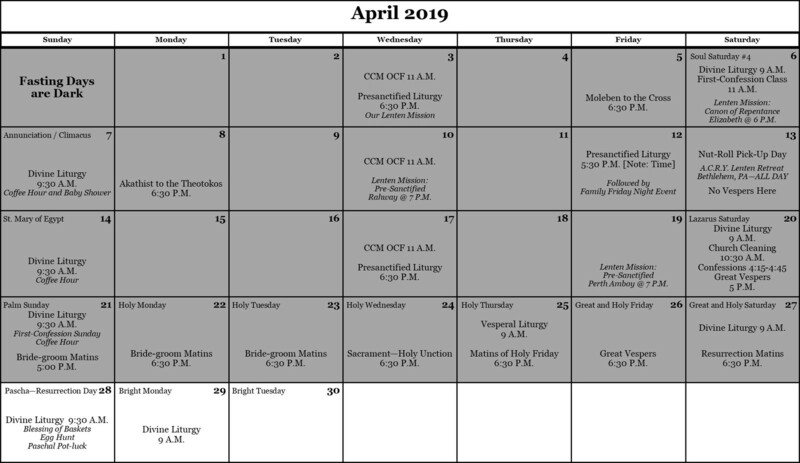 The parish family of Saints Peter and Paul Church cordially invite you to come and visit with them. We are a Pan-Orthodox community serving the region of Northern and Northwestern New Jersey. 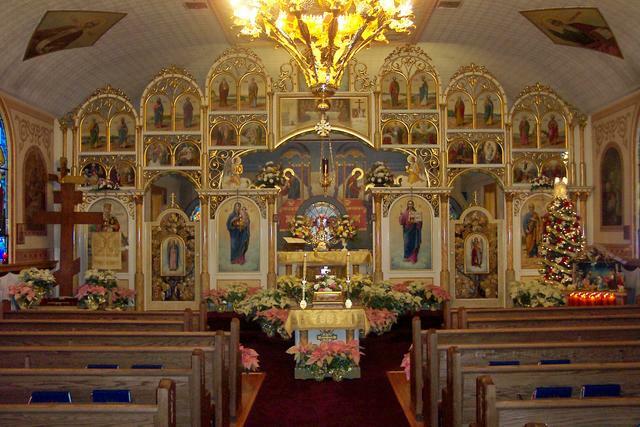 Our church is a parish in the New Jersey Deanery of the American Carpatho-Russian Orthodox Diocese (ACROD) . We warmly welcome all who are searching for a church that is in unchanging continuity with the Church of the Apostles and where they may find the purity of the Apostolic Faith. Saints Peter and Paul Church follows the Old or Julian Calendar. This means that every non-moveable feast day is 13 days later than the Gregorian or New Calendar feast days. Regular Services are as follows. 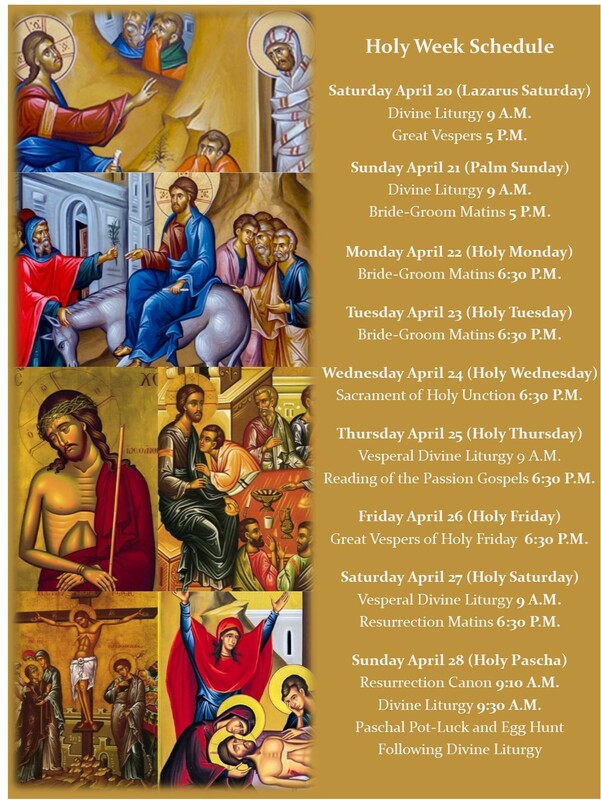 Great Vespers - 5 P.M.
Holy Day Divine Liturgy - 9 A.M. The son of Jonah and brother of Andrew the First-Called, of the tribe of Simeon and the town of Bethsaida, he was a fisherman and was at first called Simon, but the Lord was pleased to call him Cephas, or Peter (JN 1:42). He was the first of the disciples to give clear expression to his faith in the Lord Jesus, saying, "Though art the Christ, the Son of the Living God." (MT 16:16) His love for the Lord was very strong and his faith in Him went from strength to strength. When the Lord was put on trial, Peter denied Him three times, but he needed only one look into the face of the Lord and Peter's soul was filled with shame and repentance. After the descent of the Holy Spirit, Peter became a fearless and powerful preacher of the Gospel. After his first sermon in Jerusalem, about 3,000 souls were converted to the Faith. He preached the Gospel throughout Palestine and Asia Minor, in Italy and in Illyria. Peter was condemned to death on the order of the wicked Emporer Nero. After installing Linus as Bishop of Rome and exhorting and encouraging the flock of Christ there, Peter went to his death with joy. When he saw the cross before him, he asked the executioner to crucify him upside-down, because he felt himself to be unworthy to die in the same way as his Lord. And so, this great servant of the greatest Master went to his rest and received a crown of eternal glory! Born in Tarsus and of the tribe of Benjamin, he was formerly called Saul and studied under the teacher Gamaliel. He was a Pharisee and fierce persecutor of Christians. Saul was wondrously converted to the Christian Faith by the Lord Himself, who appeared to him on the road to Damascus. He was baptized by the Apostle Ananias, named Paul and enrolled in the great work of the Apostles. He preached the Gospel everywhere with burning zeal, from the borders of Arabia to the land of Spain, among both the Jews and Gentiles (heathens) and receiving the title 'Apostle to the Gentiles'. His fearful sufferings were matched only by his superhuman endurance. Through all the years of preaching, he hung from day to day like a thread between life and death. Filling his days and nights with toil and suffering for Christ, organizing the Church in many places and reaching a high level of perfection, he was able to say, "It is not I who lives, but Christ who lives in me." (Galatians 2:20) Paul was brutally beheaded in Rome in the reign of Nero, at the same time as St. Peter. their message reaches to the ends of the earth.